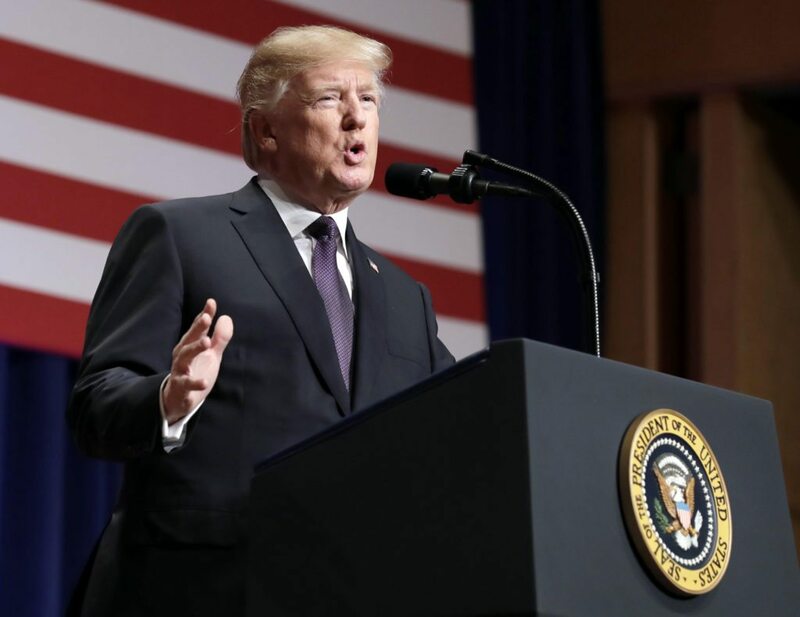 As you may know, the Trump administration today released its National Security Strategy outlining a range of policies designed to “make America great again.” In my CNN interview from earlier today linked here, I evaluate the document and make a slightly impassioned plea for America to live up to our best values (if the link doesn’t work, please try this). The strategy correctly states that the US must do more to stand up to “revisionist” Russian and Chinese efforts to “make economics less free and fair… and to repress their societies and expand their influence.” I agree that the United States needs to do far more to defend the post-war international order we and our allies have so painstakingly built over the past seven decades, particularly in the face of significant encroachment of those values by China, Russia, and others. But rather than working to support those values, the Trump administration has over the past year dropped out of the global climate pact and the largest regional free trade agreement, disparaged and undermined America’s alliances, the United Nations, and international law, and eviscerated American efforts to promote human rights around the world. I also agree strongly with the assertion made in the strategy that “a world that supports American interests and reflects our values makes America more secure and prosperous.” But if earning support from people around the world has been a goal of the Trump administration, it has so far failed miserably. According to recent Pew polls, confidence in American leadership in the 37 countries polled fell from 64% at the end of the Obama administration to just 22% today. 74% of these people had no confidence in this administration. I will leave it to others to explain why President Trump is most popular in Russia of all the countries polled. “America is leading again on the world stage,” the strategy says. “The whole world is lifted by America’s renewal and the reemergence of American leadership.” Really? The strategy correctly states that American should “lead in multilateral organizations so that American interests and principles are protected,” but how can America do this if its diplomatic corps is being hollowed out, its relations with the United Nations are at a historic low, and its closest friends, like the British, find even a standard visit by the US president toxic? The strategy also correctly calls for America to “attract and retain inventors and innovators.” As is well known, immigrants start businesses in the US at double the rate of native-born Americans. Thirty-seven percent of the Silicon Valley workforce is foreign-born. You would think that a strategy seeking to enhance innovation would embrace at least skilled immigration, but you would be wrong. The strategy instead calls for building a border wall and enhanced vetting of prospective immigrants. This part of the US National Security Strategy is great for Canada and Australia, but it’s hard to understand how this helps the US economy. Perhaps most troubling of all is the strategy’s repeated promotion of America’s “sovereignty” within the context of a “balance of power” international system. The world lived in this system in the 19th and early 20th centuries and we know from history where it leads — to two world wars. The foundational principle of the post-war international order is that shared sovereignty — the UN, EU, NATO, etc. — could counter the dangers of unbridled sovereignty and that transnationalism with its concepts of human rights and international law could temper the scourge of virulent nationalism. It is not coincidental that the White House calling for a return to a world of sovereignty and nationalism is the same White House that failed to condemn the atrocities in Charlottesville. America is at its greatest when it garners its strength and works with allies and partners to make America and the world stronger and safer. There is some language in this strategy supporting that ideal. We can only hope that that the more hopeful language in the document can inspire an about-face by the Trump administration and that the worst instincts of our president might eventually somehow be constrained. Apologies for such a long and impassioned message but I feel this is a moment, like the height of the McCarthy witch trials in the 1950s, when we cannot let madness be normalized or principles trampled in the name of dangerous ideology.